When Is It Too Late for AC Maintenance? 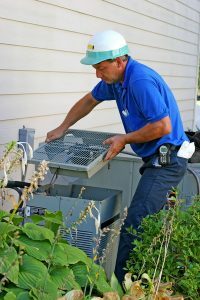 If you’ve never had maintenance done for your air conditioner, and/or it’s broken down to the point that no repair will get it back up in running, then it is too late for AC maintenance. This is literally the only case in which it would be “too late” for a Salt Lake City air conditioning tune-up. Otherwise, while we do recommend getting that tune-up done before the heating season begins, there really is no wrong time of the year to have it done—so long as it’s scheduled once a year (twice a year for heat pumps). The fact of the matter is, AC maintenance is one of the most important, if not the most important, services you can have done for your cooling system. It keeps your air conditioner clean, adjusted, and it grants you the peace of mind that it has been thoroughly checked over by a pro. Maintenance tune-ups are not a luxury service—they should be done on a regular basis. Posted in Air Conditioning | Comments Off on When Is It Too Late for AC Maintenance? If your air conditioner is playing a 1950’s rock song, well… we probably can’t help you. But what we can help you with is literal shaking, rattling, clanging, hissing, and the like. These are all sounds that you never want to hear coming from your air conditioner. It probably goes without saying that you will know better than anyone the various noises your air conditioner makes on a daily basis. When something sounds “off,” it’s best not to ignore it. 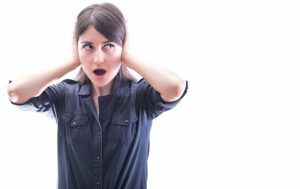 Chances are that even if it’s minor, a strange noise indicates the need for AC repair in Salt Lake City. What exactly should you be listening for, though?